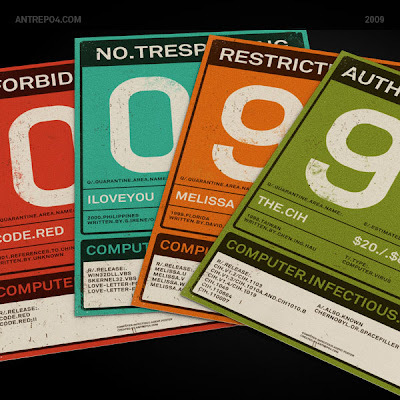 The CIH, Melissa, ILOVEYOU, Code Red... How many people remembers it? or How many people forgot? 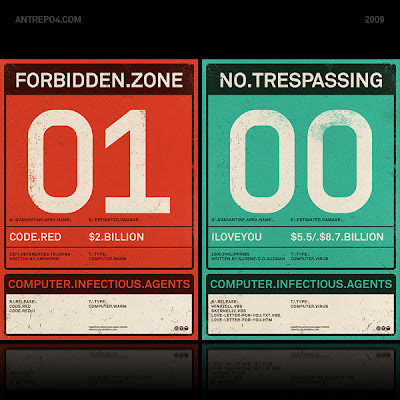 That computer viruses have caused much damage in the past 10 years. Some of the destruction is to data files, some to applications, and the worst damage is to OS files. It is like a modern weapons in the digital age also It is more powerful with network system, internet, email, P2P file sharing systems and removable medium such as a USB drive etc. 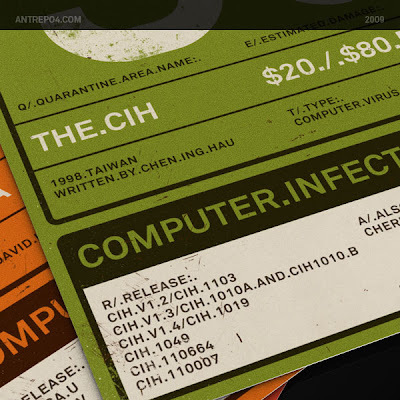 Computer Infectious Agents poster set shows, damage report of the first four viruses in the top list.